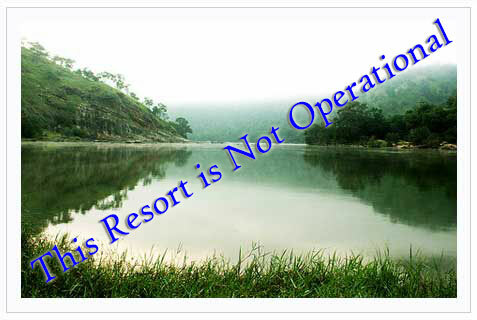 Situated just 6 kms upstream from bheemeshwari is this rustic yet charming camp, doddamakali. It is a bird watcher's paradise. Water based birds include pied king fisher, spot billed duck, black bellied tern, osprey and grey headed fish eagle. There are a number of land based birds such as honey buzzard, pied crested cuckoo etc. Activities: Coracle ride, bird watching, Rafting, angling, fishing. Day out for company offsites. Season: Just after the monsoon, a visit to this place is a must. Summer would be some what warm. Cost includes stay, all meals, coracle ride, joy fishing, guided trekking, camp fire, forest entry fees, camera fees and taxes. Single occupancy charges will be Rs.3900 per room for indians & 7250 for foreigners. Bangalore - Kanakapura - Halagur- Malavalli. After Malavalli, you will find a small village called Pandthrahalli. At this village, take left towards shimshapura. Just before shimshapura, take right at forest check post. Smaller vehicles are preferred.